This series is the best program on television you’re probably not watching. And I know why. Star Bryan Cranston has transformed himself from Malcolm in the Middle‘s goofball dad into a bald, goateed teacher-turned-drug dealer so ruthless he will let his partner’s girlfriend choke on her own vomit to keep his buddy in the trade. That’s a tough character to love. 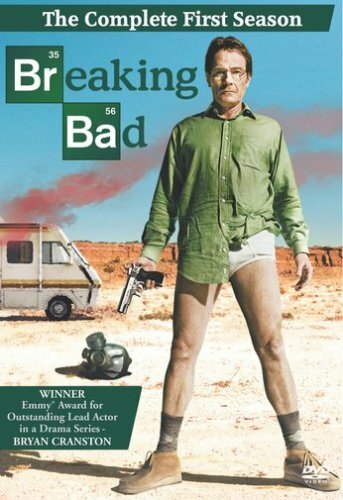 I once told creator-executive producer Vince Gilligan that Breaking Bad seemed to document the slow curdling of a man’s soul; a high school teacher forced by cancer into cooking meth with a junkie former student to cover his medical expenses. Gilligan suggested a different, simpler take. What happens, he said, when all the stuff in society that moderates our behavior falls away? Who do we become when the only limits are ones we make for ourselves?